Stainless Steel is no longer just an external balustrade option; it is now a major architectural feature available in a large range of designs. Do you or your customers demand strength and durability? Are you tired of getting complaints about wooden balustrades that appear strong and durable but are hollow on the inside? Are you planning to change your staircase builders to more promising ones that provide quality solutions and a timely delivery? Then, Eric Jones Stair Building can help you with this because we plan and design our work schedule to meet your deadlines so that you won’t have to be embarrassed in front of your employer. 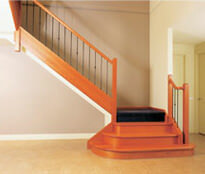 There are many builders who do not know about the balustrades and what its presence can add to a staircase. 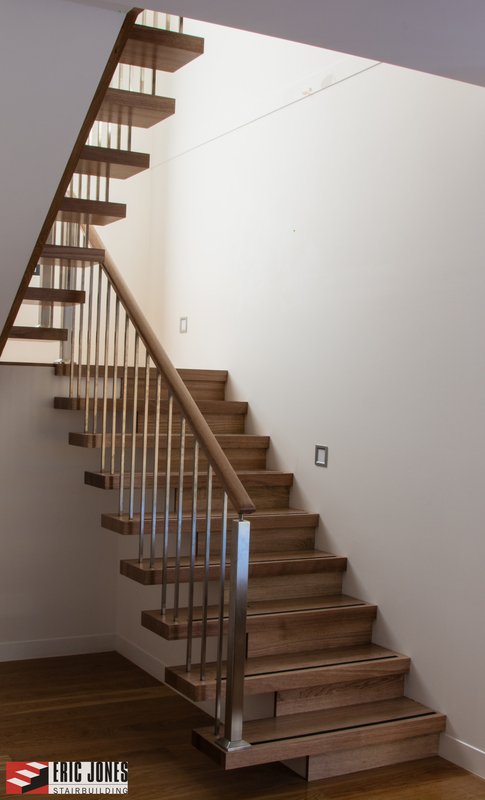 Eric Jones Stair Building brings quality balustrades, engineered to perfection. Balustrades are rods or structures of support between the handrails and the stair treads, and are made of several different materials. 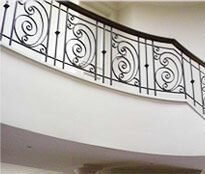 Stainless steel used in balustrades provide for the strength and the shine that comes with chromium. Stainless steel is not easily corroded, does not rust or stain with water hence, this makes it a prevalent and durable choice. Even the high anti-oxidation properties make it more of a suitable outdoor choice where weathers are unpredictable. 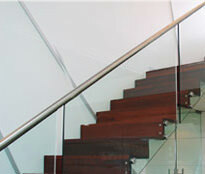 Our stainless steel balustrades are offered accompanying a design service. This means, if you are an architect, we can help re-build your image with a custom CAD design that will represent your style and colour of staircase in the market. You can add these styles internally or externally, in balconies, decks, and can also magnify the beauty and angles of any spiral or oval staircase, which is a marvellous attempt to a small tacky place look stunning. Stainless steel balustrades are stronger than wooden or other material balustrades and can be moulded and coloured into several different designs to go with the theme of the house, outdoors, commercial venues or any area that needs more detail in its furnishings. 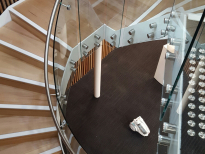 With stainless steel balustrades, we empower builders, developers, architects and contractors to make their projects well known in the commercial industry. 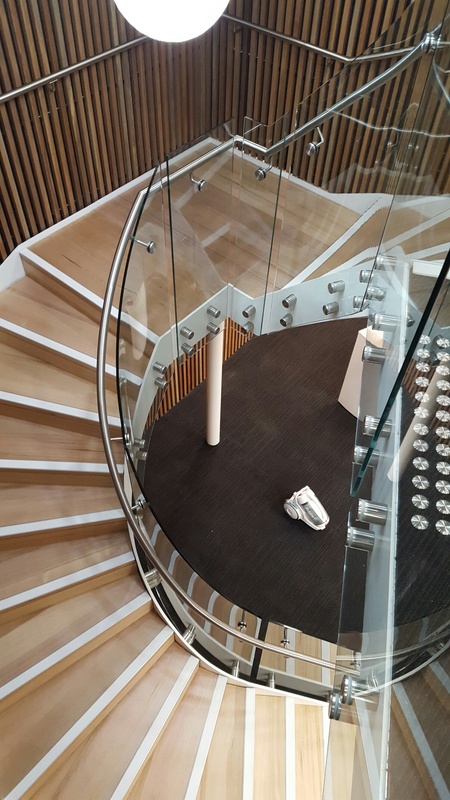 A usual choice is colourless glass, coloured glass or coloured metal where the stainless steel balustrades form a bracket of support for the glass panels. 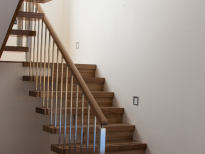 At Eric Jones Stair Building, we understand residential and commercial needs and provide a range of services like that upholds our reputation. With stainless steel balustrades, you can turn a dull space into a space full of possibilities, with earthy colours that tone down the more vibrant effect of the surrounding environment and give the whole place a neutral vibe. 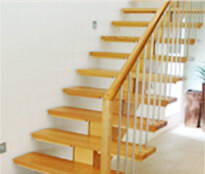 For superior balustrade installations, make Eric Jones Stair Building your first choice.